Pakistan has very rich music and through concerts we can open up conversations about different cultures and can make real relationships. The people we have met and worked with in Pakistan are amazing. These were some of the views members of a United States hip hop troupe ‘FEW Collective’ that is currently visiting Pakistan as part of US cultural diplomacy programme shared with Dawn. The troupe is expected to perform in Lahore on Monday (tomorrow). The troupe consists of six people — DJ Asad Jafri, Alsarah, a Sudanese-born singer and songwriter, Aquil Charlton, writer and performer, Manal Farhan, a performing artiste, Braveonk Daniel Haywood, dancer, and Jonathan St. Clair, aka Super Inlight, a multidisciplinary performing and teaching artiste.Throwing light on hip hop music and dance, Charlton said this genre of performing arts like rapping emerged in the United States at house parties in the late 1970s and early 1980s. Charlton said The band ‘FEW Collective’ was formed in 2005 and its objectives included to convey positive message through the hip hop forum, to become the voice of the young and voice of the marginalised wanted to stand as an example for types of positive things that could happen and could bring young people from different backgrounds together and fuse their thoughts. Warriors’ since we are fighting for the knowledge. St. Clair said the group had performed in Algeria, Morocco and China while Pakistan was their fourth destination. Farhan said that Asad Jaffri, also her husband, had visited Pakistan a couple of times since his family belongs to Karachi. She said it’s been great here in Pakistan. Asad Jaffri is also running a community-based non-profit charity organisation – Inner-city Muslim Action Network (IMAN). Based in Chicago, IMAN organises works for social justice, provides direct services, and cultivates arts in urban communities. Since 1997, IMAN has utilised arts as a vehicle for social change and to build bridges among communities and cultures. It also works closely with an international network of over 400 artists. This work includes artistic retreats, developmental workshops, and cultural exchanges. Through national and international efforts, IMAN stresses the importance of arts in creating mutual understanding, connecting cultures, and building community. Delivering a vast array of stories, music, movement and visual arts from rich cultures, IMAN highlights the work of Muslim artists and powerful artistic movements around the world. The group members told Dawn that they had listened to Pakistani music which was very rich and they had also prepared a song ‘Dam Mast Qalandar’ in fusion with Pakistani instrumentalists. During their stay in Lahore, they also worked and interacted with students of the BNU and LACAS. The FEW is an artistic collective that believes in the power of art to engage, educate and inspire. It combines traditional forms of music, dance, and art with the elements of hip hop and theatre to address contemporary issues. As representatives of hip hop culture, its members acknowledge the evolution of music, visual art, the spoken word, and dance as basic elements of the culture and knowledge as a master element. Pakistanis for Peace Editor’s Note– This is a great initiative by the US State Department to help foster better understanding between the two countries who have hit a rough stretch after 60+ years of a close friendship and mutual regard between the people of the two nations. 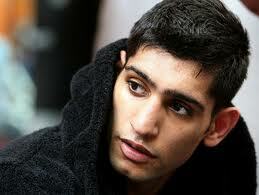 Amir Khan is a British boxer. Let’s first get that straight. He represented Britain in the 2004 Olympics in Athens, Greece where he was the only British boxer in the contingent. In those Olympics, the British flag was raised and a medal counted towards their overall tally due to Amir’s performance. At the age of 17, he brought home the silver in his lightweight boxing class and became the youngest British boxer to represent the United Kingdom since Colin Jones in 1976. Standing in his way to even bigger fame and glory was tonight’s fight against Zab Judah, the IBF light welterweight champion of the world and a fighter who had won five world titles in different weight classes. The fight was thought to be very interesting as Judah is considered a very experienced fighter and someone who was capable of knocking out the lightening quick Khan. The winner of tonight’s fight also would go on to unify the Light Welterweight titles as he would be the IBF and WBA Light Welterweight champion of the world. In the boxing circles there was also a lot of talk of a potential fight in the near future with the undefeated Floyd Mayweather Jr. prior to Kans’s fight against Judah. Mayweather is considered as one of the best boxers in history due to his impressive undefeated fighting record of 41 wins and 0 losses. In an interesting note, Amir Khan is trained by Freddie Roach who also happens to be the trainer for Manny Pacquiao, the seven division world champion and also arguably one of the best fighters of all time. Pacquiao is the only boxer that Mayweather has refused to fight due to one reason or another. A fight that boxing fans around the world have been salivating at for several years now. A potential fight between Khan and Mayweather will need to suffice the fight fans until and if the Mayweather vs Pacquiao fight ever materializes. Therefore saying that the ramifications of tonight’s fight are big would be an understatement in the boxing community. Instantly recognizing Ali, who surely must be one of the most famous people the world has ever known, my dad reached out to shake his hand and at the same time uttered “Asalaam-alikum” to Ali. Grabbing my father’s hand, Ali replied with “Walikum Asalaam” and asked where my father was from, to which he replied Pakistan. This nation of Pakistan has in the last few years perhaps become synonymous with terrorism, instability, bombings, religious intolerance and extremism. But for one night, the Pakistani people can raise their head with pride and claim Amir as one of their own. He is a product of their soil who is making the country proud during a difficult time in their history. It is also a credit to his native England that promoted an environment for him to train and succeed. There is no limit to the amount of other talent in Pakistan that would have a chance to succeed if only there were such facilities and opportunities in Pakistan or even stability and security that was provided to Khan in England. As he fought and defeated Judah in Las Vegas Saturday night, Amir Khan looked up and saw the thousands of British fans in attendance who had traveled from the UK and were proudly waiving the Union Jack. Deep inside, he must have known that many more millions in Pakistan and across the world were praying and hoping for even greater future success for him as the hopes and dreams of an entire nation are squarely on his able shoulders. Suspicious packages found on United Parcel Service and FedEx planes reportedly originated in Yemen. While the planes appear to be undamaged, the incidents could bring fresh scrutiny to Al Qaeda in the Arabian Peninsula (AQAP), the relatively new franchise that claimed responsibility for the failed underwear bomber plot on Christmas Day last year. A spokesman in Yemen’s US embassy said in a statement that the Yemeni government, which has carried out numerous strikes against suspected AQAP operatives over the past 10 months, has launched a full-scale investigation. “We are working closely with international partners – including the US – on the incident,” said Mohammed Albasha, adding that no UPS cargo planes land or take off from Yemeni airports. However, an airport employee in Sanaa, who did not want his name used, confirmed that there are private company flights from Sanaa to the United Kingdom, where a suspicious package was found at East Midlands airport at 3:28 a.m. local time. The UPS store in Sanaa was staffed with one employee and one guard Friday evening local time. The employee refused to talk to the media. The White House said that in addition to the package found in the UK, which according to CNN contained a “manipulated” toner cartridge, another suspicious item was found in Dubai. Both were said to have originated in Yemen. 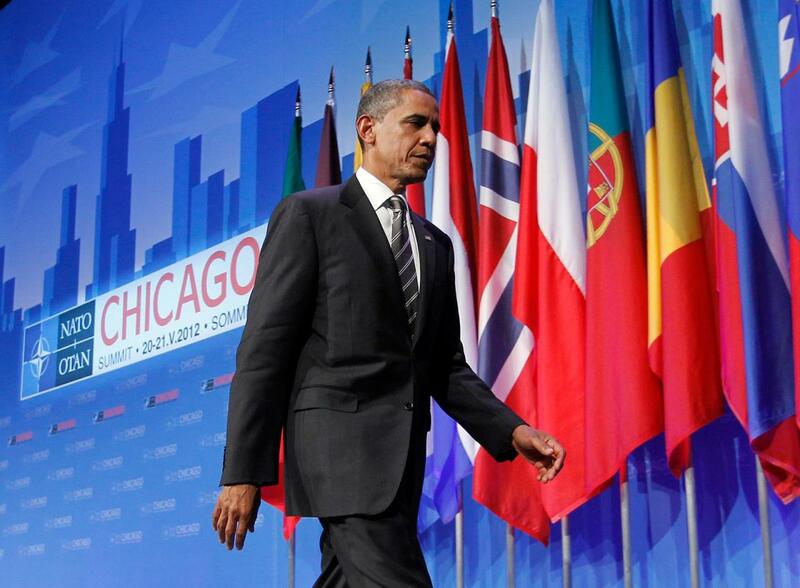 Among the suspected targets were Chicago-area synagogues. The incident, which CNN posited could be a “dry run” for a future terrorist plot, is one of numerous red flags raised this year about suspected Al Qaeda militants operating in Yemen. The country’s weak central government, which has difficulty maintaining order in Yemen’s rugged mountain terrain, has over the past year quietly strengthened its cooperation with US counterterrorism officials to address the militant threat. The US military announced early this year it would more than double the $67 million aid package to the country. Since the failed Christmas Day bombing on a Detroit-bound airliner, international concern that Yemen could become the next Afghanistan – a lawless refuge from which to launch terrorist attacks on the West – has risen. The rise in prominence of Anwar al-Awlaki, a Yemeni-American preacher linked to the Fort Hood shootings last year and now wanted by the CIA, has heightened fears that the militants could more easily navigate Western society with his help. 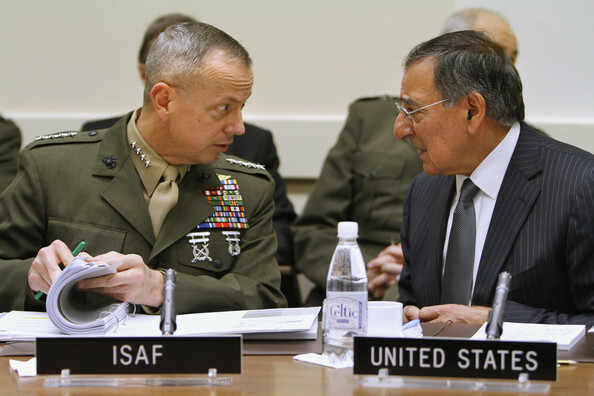 Experts have cautioned, however, that focusing US and international efforts solely on containing the Al Qaeda threat could backfire. Yemen is the Arab world’s poorest country, and faces numerous other challenges, including corruption, a violent southern secessionist movement, tensions between powerful tribes and the central government, and dwindling resources. Two men with ties to Metro Detroit are being held in Amsterdam after one was suspected of making a trial run in preparation for a terrorist attack, federal authorities said. The U.S. Department of Homeland Security said suspicious items were found in the checked luggage of one passenger, Ahmed Mohamed Nasser al Soofi of Tuscaloosa, Ala., flying on a United Airlines flight Sunday night from Chicago to Amsterdam. Another man, Hezem al Murisi of Memphis, was also detained. “Suspicious items were located in checked luggage associated with two passengers on United Flight 908 from Chicago O’Hare to Amsterdam last night,” department officials said in a statement Monday. Dutch authorities arrested the two men at Amsterdam’s Schiphol Airport on charges of preparing for a terrorist attack. A Transportation Security Administration official said al Soofi had originally booked a ticket from Birmingham to Chicago and onward to Washington, D.C.’s Dulles International and then to Dubai and Yemen. In Birmingham on Sunday, al Soofi’s checked luggage drew the attention of TSA screeners, who found a taped bundle of watches, a similar bundle of cell phones, multiple knives, a box cutter and a cell phone taped to a bottle of Pepto-Bismol, among other suspicious items that were thought to be nonthreatening, allowing him to continue to Chicago. Al Soofi was also carrying $7,000 in cash when boarding the flight in Birmingham. “It’s ridiculous,” said Murad al Soofi, who owns a convenience store in Tuscaloosa, Ala., about an hour west of Birmingham. He said his brother moved to Michigan from Yemen in 1997 and has a wife and five children — three boys and two girls — in his homeland. He moved to Tuscaloosa earlier this year in search of work after losing jobs in Detroit and Monroe, his brother said. Al Soofi’s luggage made it to Chicago and to Washington, despite the fact he did not board the flight from Chicago to Washington. Instead he changed his ticket at United’s hub at Chicago’s O’Hare International Airport for the flight to Amsterdam. Normally, baggage and ticketed passengers must travel together, but it appears United officials didn’t notice the diverted baggage until the luggage arrived in Washington. It was at Dulles where Customs and Border Patrol authorities stopped a Dubai-bound United flight and had it brought it back to the gate after it was discovered that al Soofi’s luggage was on board but he wasn’t. 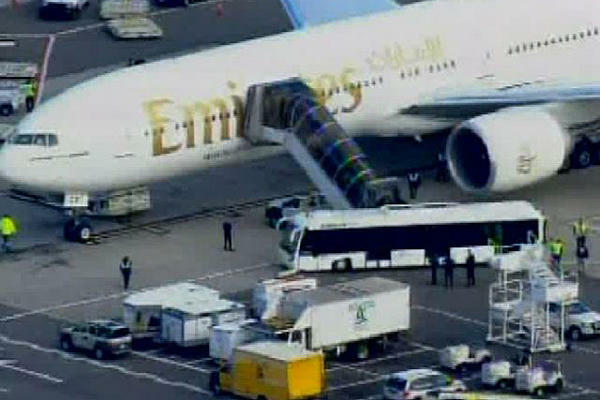 The luggage was off-loaded and the wide-bodied Boeing 777 arrived in Dubai about an hour late Monday morning, flight records show. Both of the detained men are friends who lived and worked in Dearborn, said Imad Hamad of the American-Arab Anti-Discrimination Committee. The al Soofi and al Murisi families are prominent within the Yemeni-American community in Dearborn, Hamad said. Both men worked at area restaurants and grocery stores, and it is typical to spend several months working in Michigan and travel home once or twice a year to visit relatives in Yemen. “When the news broke, people were surprised because they knew them as good people, respected people who always worked and worked hard,” Hamad said. Al Soofi was believed to have recently lived at the Hidden Trail Apartments in Monroe. Neighbors said he hadn’t been at the complex for at least a year. They remember him as a quiet man who associated with other local laborers. They said he sometimes covered his windows with cardboard. Learning of his alleged involvement in preparing for a terrorist attack is “very upsetting,” said resident Stacy Louks, 32, who has lived in the complex for several years. The incident echoes the Christmas Day bombing attempt of Flight 253 over Detroit’s skies. Umar Farouk Abdulmutallab is being held at the federal prison in Milan awaiting trial on terrorism charges related to that flight, which authorities say he failed to blow up using improvised explosives strapped in his underwear. The incident sparked intense scrutiny of U.S. homeland security and border control policies and procedures. Abdulmutallab, a Nigerian native, was able to secure and retain a multiple-entry visa for the United States despite being denied entry by the United Kingdom and warnings from his own family to U.S. authorities that he was a potential terrorism risk. His trial is slated to begin next year in Detroit. 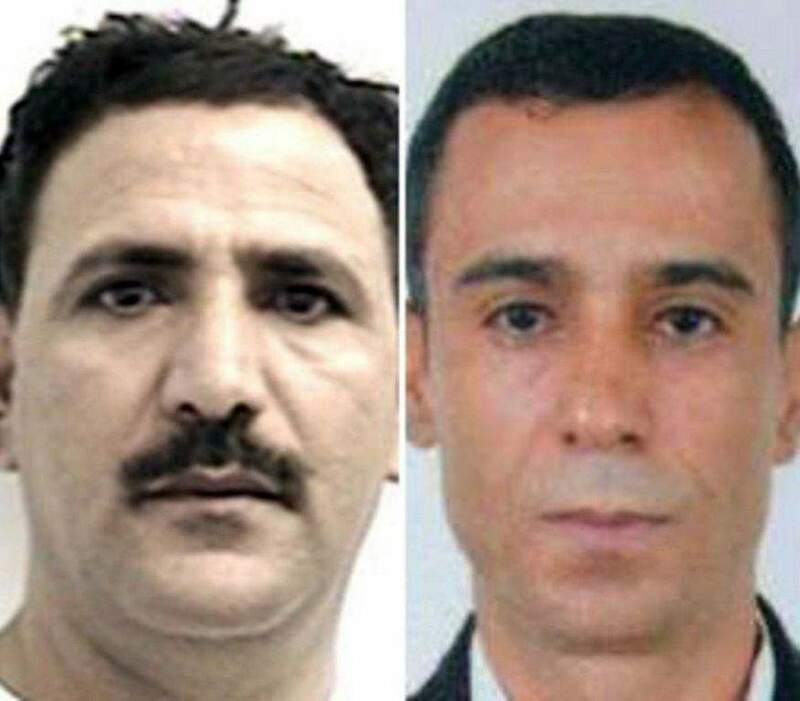 Pakistanis for Peace Editor’s Note– If found guilty, these two individuals should be thrown in jail for life with no possibility of parole at the very least. Individuals like these do not really even deserve the rights and freedoms enjoyed by all Americans, but nonetheless should get their due process and if found guilty, deserve to have the book thrown at them and put away for life. Also, we are thankful that the authorities foiled this potential attack and request everyone to be vigilant as the September 11 anniversary approaches and we pray no acts of violence take place in the US or anywhere else taking innocent lives.